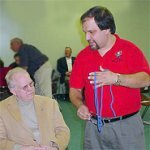 Have Dan The Magic Man provide fun, non-threatening, entertainment combining magic and puppets for your next special event. Choose from one of three venues: Birthday Parties, Special Events and Walk-Around Magic. 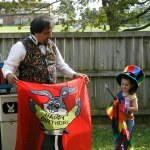 Your child is the star of the show when Dan the Magic Man performs at your child's birthday party. 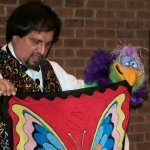 Puppets, audience participation, and your child assisting Dan will be an event your child will remember for a long time. This show is suitable for three to eight year olds. Two shows are available: The Magic Show is a fun and entertaining show geared especially for three to eight year olds. The Bonkers for Books show is an entertaining magic show highlighting books and reading, suitable for Pre-K to second grade. For both young and old, have Dan the Magic Man provide family style entertainment at your special event. From puppets interacting with people to having magic performed in the hands of your guests, Dan's walk-around magic is up-close and personal, making it a memorable experience your guests won't soon forget.